Ally Scraps always stock the latest and greatest products in store and this month is no exception. We have just taken delivery of the fabulous new Heidi Swapp lines from CHA. 3 new lines have been added Runway, Carefree and World Traveller. Check out all three lines here. Glitz Designare a new to the store. Beautiful bling flourishes, flowers will add the finishing touches to any page. The hottest trends in rub-ons are also in. Check out more here. How about some more inspiration? I couldn't resist the Pink Paislee Office Lingo line. I made a little go a very long way! 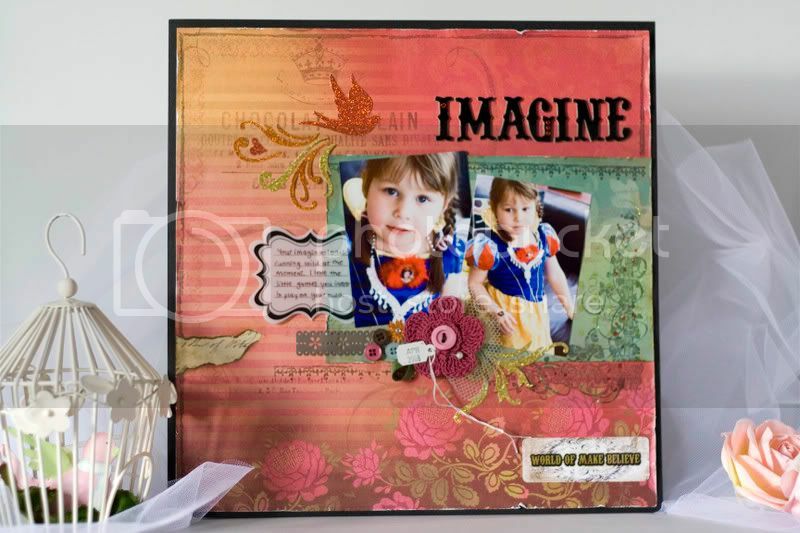 Teamed up with Fancy Pants Celebrate the papers really pop on the brown background. The Fancy Pants Glitz overlay really adds the wow factor. Do you see the little frame under the flowers? Well that the negative space around the Office Lingo die cut. Waste not, want not! The Office Lingo die cuts provided the title for the layout. Simple. My DD loves to dress up as a princess - as every little girl should! 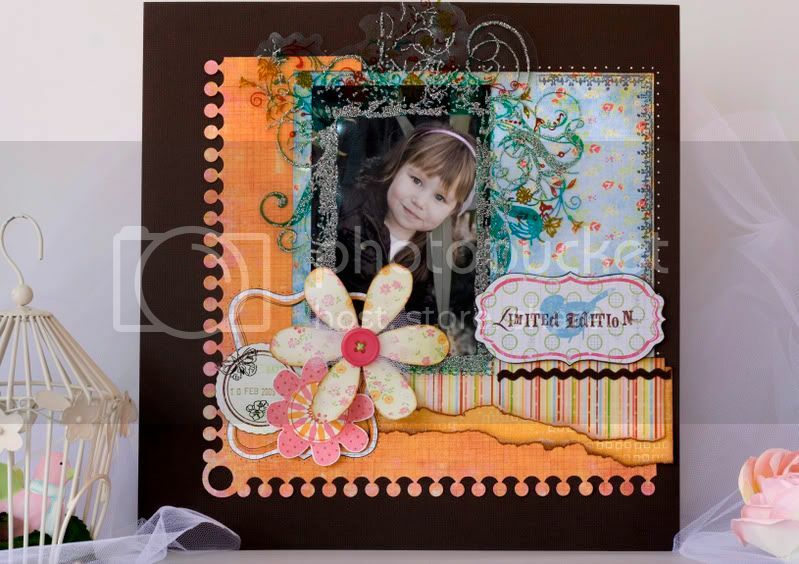 The vibrant papers and embellishments are from K & Company Mira collection. 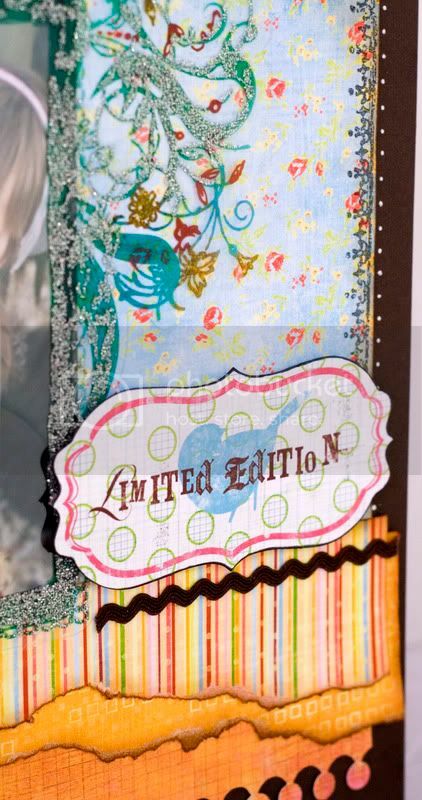 Distressed edges add depth and dimension to the page before layering up with more pp and stamps. The beautiful glittery stickers are a little sparkle and glamour. 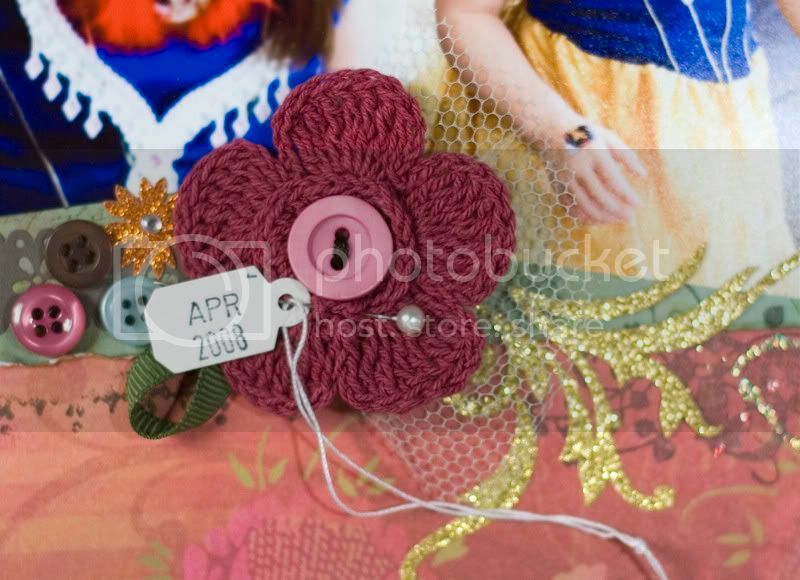 Just right for any little girl! A note for your diary. 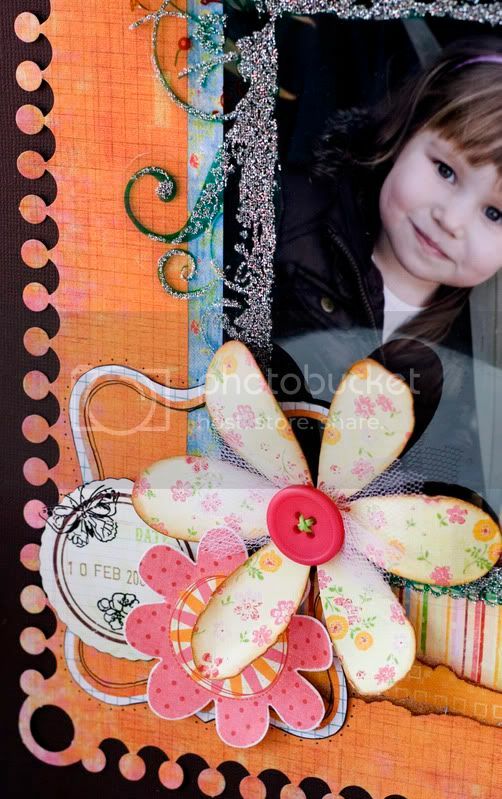 We're celebrating National Scrapbook Day on 10th May with a cybercrop! There will be loads of fun and prizes up for grabs so make sure you free up your day!